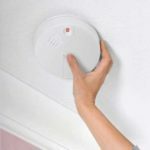 Bushnell Basin Fire Department is a 100% volunteer fire department protecting approximately 12,000 people in the Town of Perinton, New York. Volunteer firefighting takes dedication and many hours of training but there is no more rewarding way to serve your community. YOU can make a difference! Visit our volunteer page to learn more. We can’t do this alone. We need partners, like you, to invest in your local volunteer fire department. 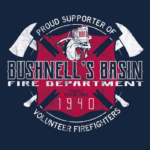 Help Bushnell’s Basin Fire Department protect your community by visiting our Donation page today. The Bushnell’s Basin Fire Association, Incorporated, established in 1940, protects the southwest area of the Town of Perinton, New York. Primarily a residential area, Bushnell’s Basin is home to approximately 12,000 people.